Gentle, effective cleansing lotion with soothing camomile. I still couldn’t find my beloved Clean & Clear Deep Cleansing Makeup Remover (reviewed here) so I went back to The Body Shop to pick up another Seaweed Purifying Facial Cleanser (reviewed here) and wouldn’t you know it, couldn’t find that one either! I’m cursed (lawl)! I don’t particularly care for other forms of makeup removal (cleansing balms, oils, micellar water, etc…) and generally prefer to use the cold cream method (or lotion or gel, basically anything that can be wiped off with a cloth or tissue, and doesn’t leave any annoying residue). I picked up the Camomile Waterproof Eye Make-Up Remover because it had similar packaging (sorta’) to my beloved Clean & Clear Deep Cleansing Makeup Remover, supposedly removes Waterproof Eye Make-Up, and lastly because Camomile (Chamomile) is meant to be skin-friendly (soothing to skin and whatnot). I’m not sure why I decided to give this stuff a sniff in-store (mayhaps it was the bright green?) but ermahgerd it smells divine! There were other scents available such as Zingy Ginger and Orange, Zingy Minty Fresh, and Zingy Zesty Lemon. I passed on the other two but decided to give Zingy Zesty Lemon a sniff because I thought for sure it would smell fantastic, if not better than Zingy Lime Fizz but I was mistaken. Nothing smelled more delicious than Zingy Lime Fizz! Such a ridiculously amazing scent! No joke, Boots Zingy Lime Fizz Shower Gel straight up smelled like the Need a Margarita scent from Bath & Body Works (True Blue Spa range)! Basically, Zingy Lime Fizz smells like Skittles! I was worried I wouldn’t ever find this stuff again. Luckily, there was a Buy Two Get One Free deal on all the in-house brand (Boots) items, including Zingy Lime Fizz Shower Gel. So, I got three (to tide me over) for the price of two! 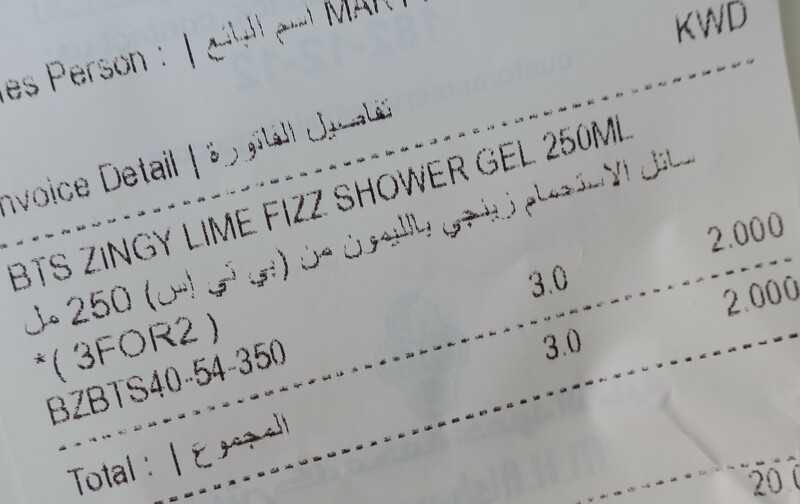 Even better was the fact that the Boots Zingy Lime Fizz Shower Gel were only KD 1/000 a pop! So there you go; a budget-friendly alternative for the Soap & Glory Sugar Crush Body Wash.
Seaweed, Sea Salt, Sea Kelp, Sea Water, basically I’ll try any product that has the word “Sea” in it or originates from the Sea (as I mentioned in the previous post). That said, I wasn’t actively seeking this stuff out. I happened to be staying over at my sister’s house for a month-long “visit” when I ran out of my trusty Clean & Clear Deep Cleaning Makeup Remover (reviewed here). She was nice enough to share her makeup remover (Nivea) with me but it was the oily kind – that would give me foggy vision and leave some form of residue on my lids (pet peeve) making it next to impossible for me to apply any makeup on afterwards, because it would just go on all weird and patchy. That’s precisely why I prefer cream cleansers over oil cleansers when it comes to makeup removal. Cream cleansers are way less of a hassle (go on and tissue off easily, water isn’t even necessary as it’s more of a preference) work almost instantly (you don’t need to sit there for a year waiting for it to break down the makeup, as opposed to oil cleansers), no foggy vision (although some do sting if they get in your eye), and best of all, no residue (meaning you can apply makeup immediately after and it’ll go on like normal, or plant yourself face-down on your pillow without worrying about any black mascara streaks on your white pillowcase and go to sleep straight away). As such, I headed out to find my beloved Clean & Clear Deep Cleaning Makeup Remover (reviewed here). I hit up all the places I could think of (personal care aisles at local cooperatives, Sultan Center, Boots, etc…) but just could not find it anywhere, for some reason. It occurred to me that I should really start looking into dupes for the Clean & Clear Deep Cleaning Makeup Remover, to avoid being in this horrible situation ever again. I mean sure I could use the oily Nivea one (blue packaging) for a day or two, but for the unforeseeable future? Nah! I was starting to get anxious, man! My hunt for Clean & Clear Deep Cleaning Makeup Remover led me to Mishref co-op (after being unsuccessful at other co-ops) where I discovered that they’ve actually got a branch of The Body Shop somewhere on the top floor. After a quick lap around the small store, The Body Shop Seaweed Purifying Facial Cleanser seemed like it would do in a pinch (which this was, very much so) so I purchased it. 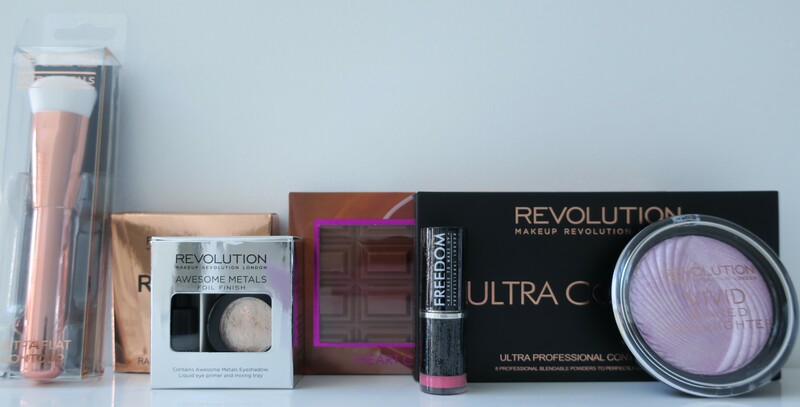 I was delighted when I came across Makeup Revolution and its sister brands I Heart Makeup (which are known for their Too Faced Chocolate Bar Palette dupes among other things) and Freedom at the Perfume & Makeup Exhibition at Mishref Fair Grounds (October-November). I’ve heard of those brands before but I wasn’t aware that they’ve already made it to the shores of Kuwait. There wasn’t a huge selection but everything looked quite cute! I picked up an Eyeshadow Palette (one of the Too Faced Chocolate Bar dupes), a Contouring Palette, two single Highlighters, a metallic Eyeshadow single and a Contour Brush. 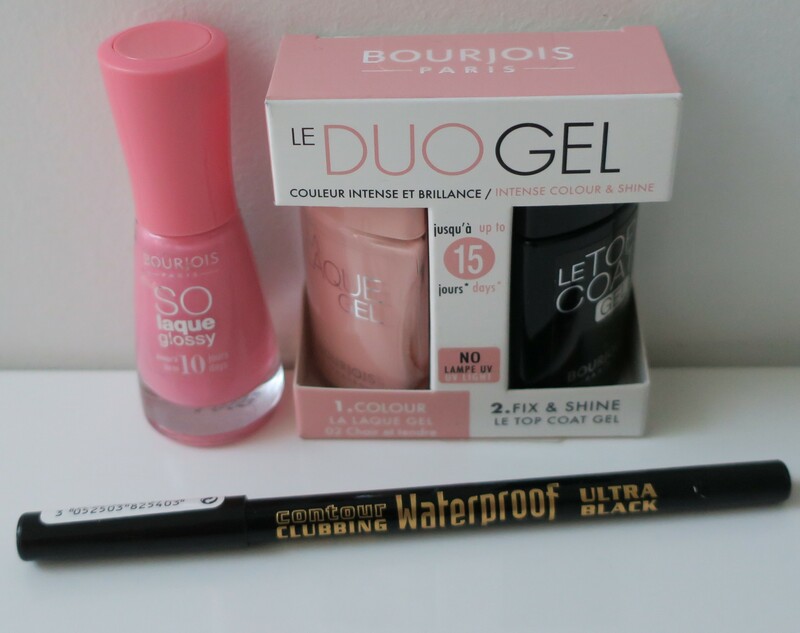 They even threw in a free Lipstick as a gift with purchase (gwp). I mean everything was super cute and super budget-friendly! * The third item had to be from the bargain bin selection (not any of the newer items).